The Berkeley Kite Festival is produced from the ground up by Highline Kites of Berkeley. The majority of each year's festival budget is generated by the sales of kites during the festival. While enjoying our Berkeley Kite Festival please take a moment or two to visit our kite shop in the big white tent. We founded the Berkeley Kite Fest 37 years ago and every dollar you spend helps to ensure that Kite Fest can live on into the future. 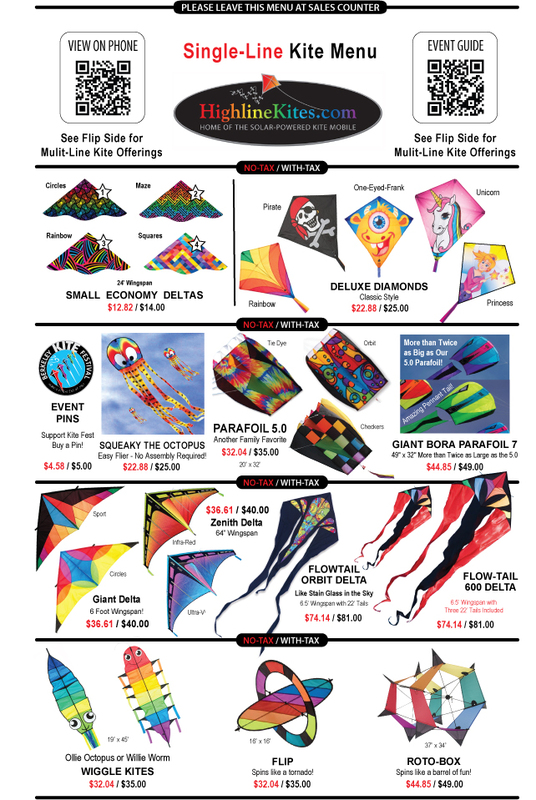 Kites make great gifts year-round and it is never too early to start thinking about the holidays. 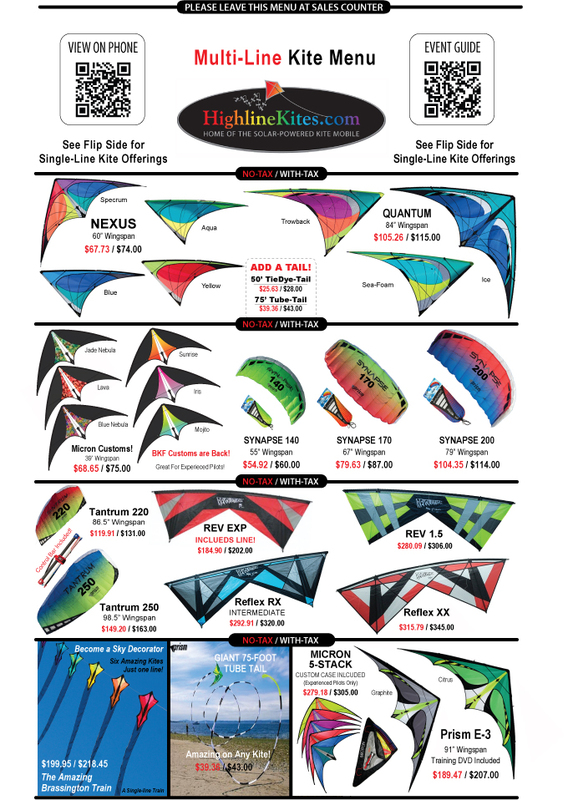 The kites below are a collection of our favorite and best selling designs. All of these designs are available for purchase in our Giant Kite Shop Tent at the festival. Stop by and say hi and don't forget to pick up one of our collector Berkeley Kite Festival Pins. Revenue from all kite sales at the festival make the kite festival possible.